Playing and eating are two words that do not really get along, especially when kids are involved. 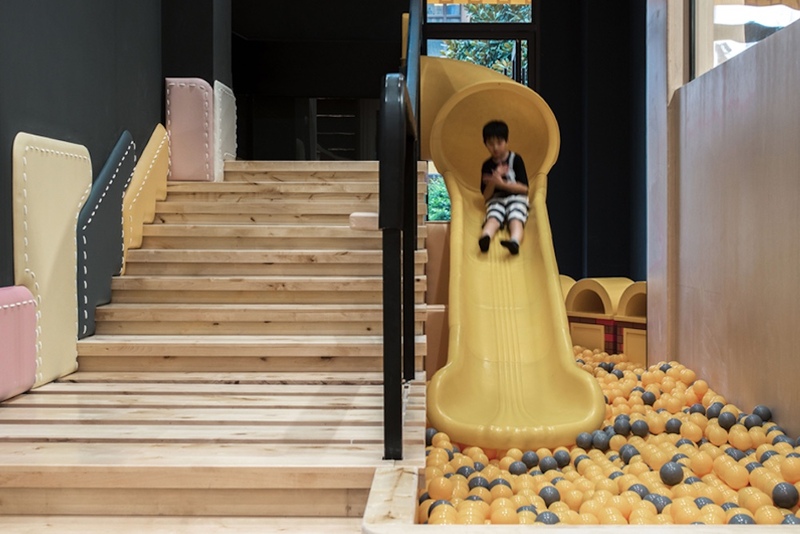 So in Shanghai, China, architecture firm X+Living created an amusement park slash restaurant that will cater to the needs of children and parents. Neobio is a dining space for the entire family. While parents enjoy the food, the kids can play their hearts out and then grab a bite when they’re ready to eat. The color palette mostly consists of pastel colors, and the play structures will surely keep the kids busy. X+Living added castles, pools and crawlways. The castles symbolize charm and Chinese tradition and history. There are areas where boys and girls can play separately, but for the most part, kids can use the crawlways as tunnels to go to different kinds of pools. Some of the pools are filled with plastic balls, while some are filled with sand or bubbles. Rest assured, Neobio has everything a kid will want in an indoor playground, while parents can to enjoy a meal without worrying what their kids are up to.